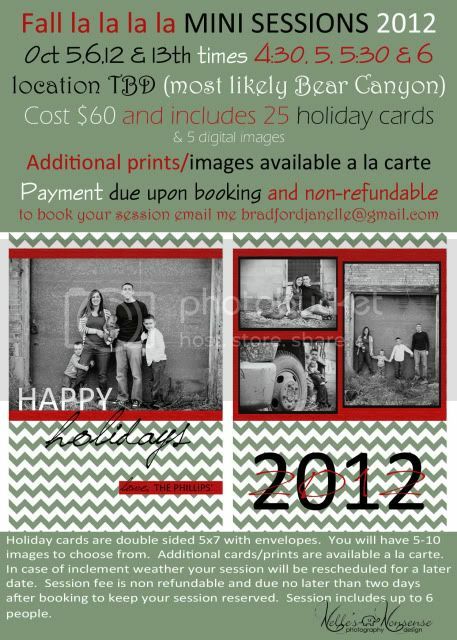 Here is the info I promised on the family mini sessions.... I know it is early to think of Christmas Cards but Fall pictures make the best Christmas Cards and why not get a jump start on them and get them done. Please email me if you would like to book session or have questions all the info is below. I am so excited to get to designing this years cards. Fell in love with the design on this tonight....my brother nd his family are so cute.